Discussion in 'Vendors' started by RADE/GARAGE, Sep 4, 2018. We now offer a full line of products for the Husqvarna 701 that will transform the bike from the very capable enduro it is out of the factory into a universal, adventure worthy machine capable of handling any terrain, on any continent, in any conditions. Our own trips confirm these parts work well in amateur rally events as well as on cross country trips. "Hidden" tank under the seat that will provide you extra 1.5 gal (5.9L) of gas for your adventures anywhere and reusable TwinAir foam filter for better dust protection. Under the seat storage with 1,5 gallon volume (12 pack anyone?) is based on the auxiliary tank solution and uses the same TwinAir foam filter with smaller airbox for better dust protection. I've got the newer aux tank. The vent hose keeps falling off the gas cap. The hose barb is short and recessed, so I can't install any kind of hose clamp. Any ideas for a fix? Superglue is certainly one option. However my own observation is that if you just press the vent tube all the way down, without wiggling it (the wiggle may stretch the tube) around it hold perfect. Is there an updated grommet for the overflow hose barb? Mine leaks whenever the bike is on the sidestand or when fuel sloshes around. It's a 701 tank. I placed an order and added a skidplate! Thanks so much for your help. thanks! Packed today and we will post tomorrow. I really like your line of products for the 701. Just curious what's the exchange rate ? Hello, currently 1 EUR is 1,15 USD. You can pay via credit card or via PayPal on our eshop and in both cases despite your account is in USD it will automatically recalculate to EUR and pay your order. However please note that if you pay via credit/debit the rate will be determined by your card issuer. We have no control over that. but usually it does vary more than 1%. Any plans for the side soft panniers rack? 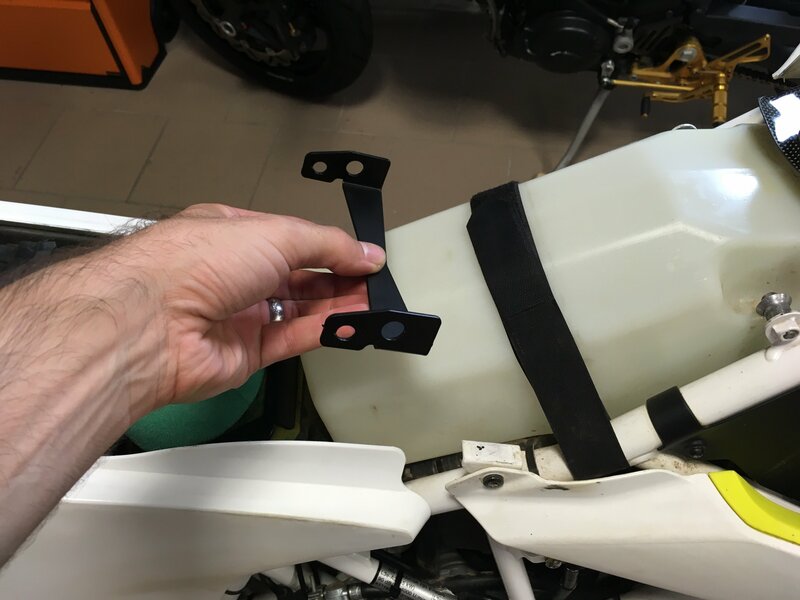 I remember reading somewhere that you were planning an update to the 701 fairing and were doing to improve the light seal to avoid reflection back to the rider. Is this still in the works? If yes, when do expect to release the updated fairing? I really like your aux.tank /air box upgrade for the 701. But also like the storage box . Was wondering if I can purchase just the storage box separately if I buy the tank air box kit. I understand - such combo make a sense. Send me and email please and we will give you the combo offer. Hi. I have a 17, 701 Husky with the Rade tank. I am getting fuel fumes really bad from it. I am thinking it is coming from the gas cap. I put a longer breather on it down to the front of the radiator but no difference. It really stinks!! Is there another cap for them? Purchased it in July August, from the Australian distributor. Also, do you have a better pic of the rear bar that goes in? 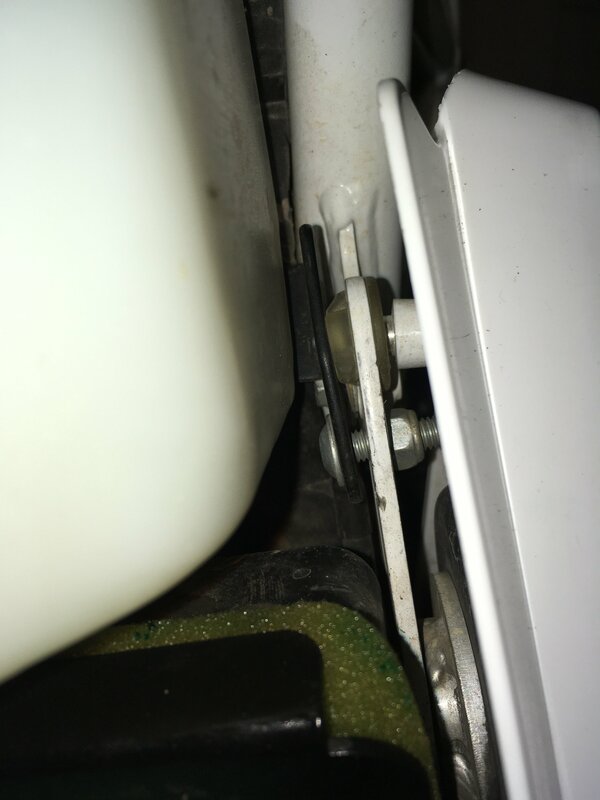 My side cover pins will rub on the tank if I push them in all the way, and it appears the tank is resting on the injector wiring in front of the cradle mount. Very nice. Was thinking/ looking for standard ones like on the 640adventure or creating something myself. Brake hose is hitting sidepanel of the fairing and cycra handguards now.